San Antonio, Texas – During a midday press conference in November 2016, incumbent Bexar County Sheriff Susan L. Pamerleau conceded the election race to her Democratic challenger Javier Salazar. The deposed sheriff noted that she had won more votes in 2016 than when she won the election in 2012, but this “was not enough to overcome the tsunami on the top of the ballot,” she said. Pamerleau briefly served on CAP’s Board of Governors from 2010 to 2012 and both Civil Air Patrol and its Board of Governors are currently being exposed as a vehicle to launch tools favorable to Civil Air Patrol into positions of political influence. In July 2016, Sheriff Susan L. Pamerleau faced inquiries about four suicides in the Bexar County Jail from June 28th to July 22nd. By September 2015, twelve of Maj Gen Susan L. Pamerleau’s deputies had been arrested since January 2015. Susan L. Pamerleau left the United States Air Force in 2000 and joined the Civil Air Patrol Board of Governors in 2010. 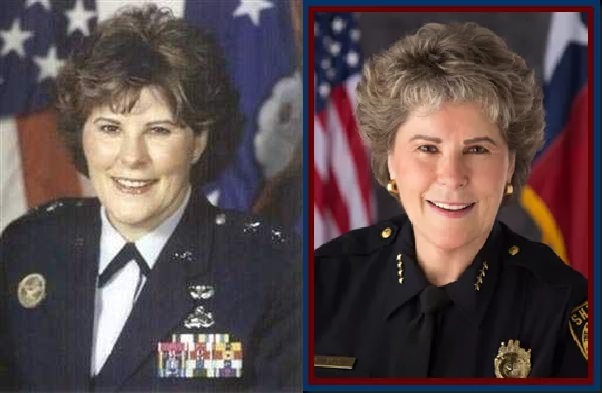 Two years later, she was elected as the first female sheriff in the history of Bexar County, Texas in 2012. She left the Civil Air Patrol Board of Governors soon after taking that position. Next The Air Force is Breaking. Who is Accountable?